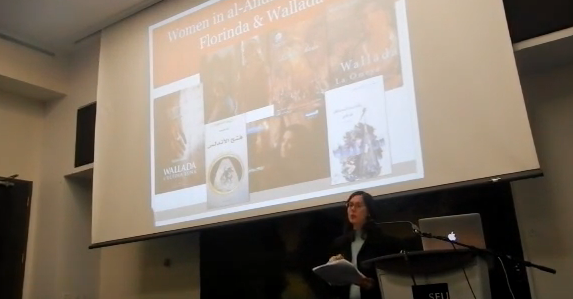 Christina Civantos examines the contemporary presence of medieval Muslim Iberia in Arab and Hispanic cultures and in global understandings of tolerance. During the European Middle Ages, the cities of present-day Spain, ruled by Muslims but also inhabited by Christians and Jews, flourished as centres of intellectual inquiry and artistic production. Today, around the globe concerns about interfaith relations have led to efforts to find earlier models in Muslim Iberia, known in Arabic as al-Andalus. Indeed, al-Andalus has lessons to offer, but not in the ways typically expected. 20th and 21st-century drama, television, and film from the Arab world and its diaspora, Spain, and Argentina demonstrate that al-Andalus is a key element in narratives of religious, national, ethnic, and linguistic identities. While some writers and filmmakers invoke al-Andalus to reiterate exclusionary identities, others use it to critique 20th and 21st-century socio-political issues and to rewrite foundational myths tied to al-Andalus. The insights that these counter-narratives offer regarding identity help us to move toward lasting and equitable tolerance. Christina Civantos is an Associate Professor of Spanish at the University of Miami College of Arts and & Sciences.